He will be transferred to a separate cell after a medical examination. Ukrainian political prisoner Pavlo Hryb has made an official statement that he is going on a hunger strike in Russia. He will now be examined by doctors and placed in a separate cell in a remand centre, the chairman of the public supervisory commission of Russia's Rostov Region, Leonid Petrashis has said, according to Interfax. "Members of the public supervisory commission warned him that he would not be able to take his prescription drugs for gastritis, which may negatively affect the convict's health," Petrashis said. 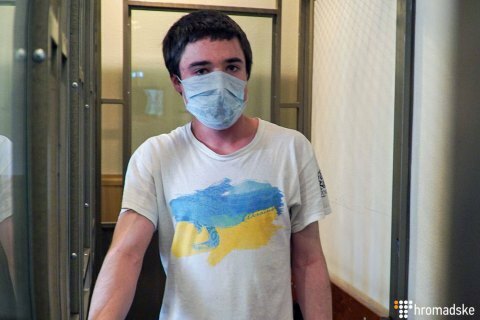 A court in Rostov-on-Don sentenced heavily ill Pavlo Hryb to six years in prison for "incitement to terrorism". Hryb, who is 19 years old, has had portal hypertension since his childhood. He was abducted by the Russian FSB in Belarus on 24 August 2017. He was later found in a Russian remand centre where the Russian special services put him on suspicion of terrorism. Russian TV brandishes "SBU defector"